Understanding place value is a foundation for being able to work with multidigit numbers, especially in the written algorithms. Templates: Pictures of manipulates and other objects that can be duplicated for use in the classroom. Can be cut out and glued on pages for any place value work. Unifix cubes can be used for place value introduction with tens and ones. Teaching ideas included, with worksheets to reinforce activities. Ten frames for place value introduction. Teaching ideas included, with worksheets to reinforce activities. Bundling sticks for place value introduction. Teaching ideas included, with worksheets to reinforce activities. 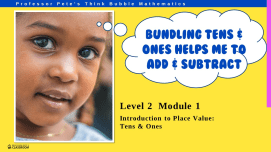 Base ten blocks (Diennes, MABs) for place value introduction. Teaching ideas included, with worksheets to reinforce activities. Objects from real life that for place value introduction. Teaching ideas included, with worksheets to reinforce activities. 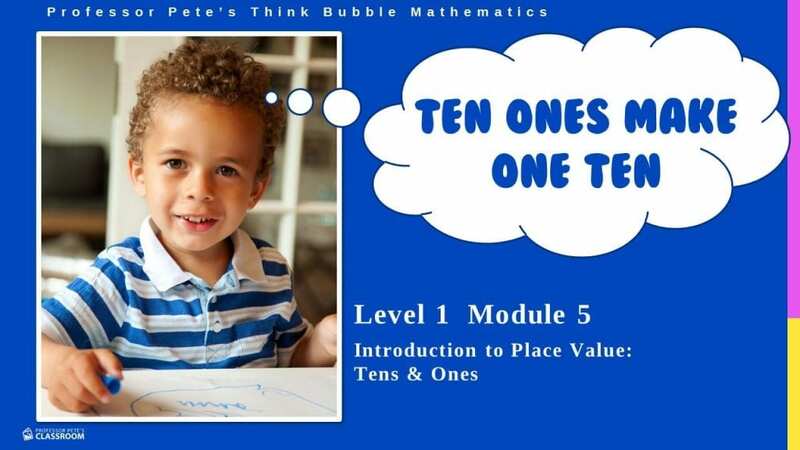 Tens / Ones (T O chart) place value chart to be printed and laminated ready for classroom use. 41 slides. Reading, wriitng and spelling numbers to 99. 4 lessons. 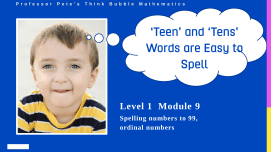 Connects spelling of single-digit numbers to teen numbers and to tens. Includes ordinal numbers and expanded notation. 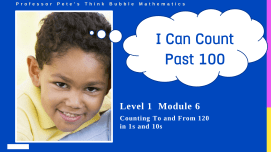 Interactive PowerPoint Think Bubble Math 109. 6pp. Reading and writing the number names in words for numbers 20 to 99. Lots of practice in spelling. 8pp. Using unifix and the Easy Place Value Gadget to introduce the tens place, writing and reading the number, no teens. 8pp. Using unifix and the Easy Place Value Gadget to introduces the teens place, writing and reading numbers, to 99. 8pp. Using bundling sticks and the Easy Place Value Gadget write and read numbers to 99. Contains a lesson plan, templates and worksheets. 8pp. Using base ten blocks and the Easy Place Value Gadget write and read numbers to 99. Contains a lesson plan, templates and worksheets. 6pp. Using packs of chewing gum and the Easy Place Value Gadget write and read numbers to 99. Contains a lesson plan, templates and worksheets. 6pp. Using bags of marbles and the Easy Place Value Gadget write and read numbers to 99. Contains a lesson plan, templates and worksheets. 6pp. Using bags of pencils and the Easy Place Value Gadget write and read numbers to 99. Contains a lesson plan, templates and worksheets. 5pp. Writing the number name to 99 using the Easy Plave Value Gadget. Contains a lesson plan and worksheets.